Rahul has come a long way since 2014, but is a national win close at hand? 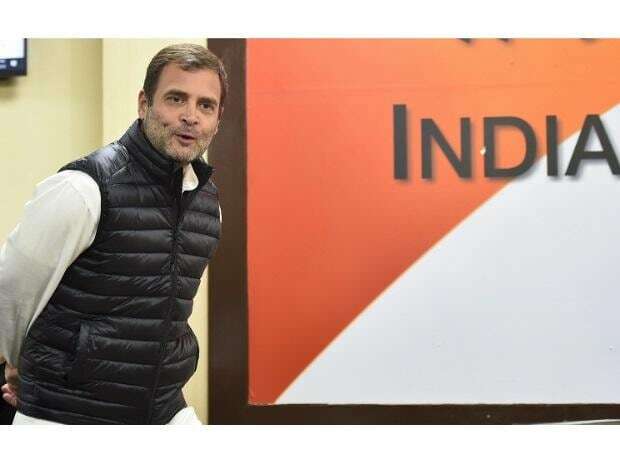 Escalating his attack on Prime Minister Narendra Modi over the Rafale deal issue, Congress chief Rahul Gandhi Thursday said it seems the PM has "fled" his "open book Rafale exam" in Parliament and is instead lecturing students in Punjab. Gandhi's attack came a day after he said Modi faced an open book exam on the deal in Parliament and asked if he will show up at the exam or send a proxy. The Congress president had Wednesday also tweeted four questions related to the Rafale deal and demanded answers from the prime minister. "So it seems our PM has fled Parliament & his own open book Rafale exam & is instead lecturing students at Lovely University in Punjab, today," Gandhi tweeted on Thursday. He also urged students at the university to ask the prime minister to answer the four questions posed by him. Gandhi had tweeted, "Here are the exam questions in advance: Q1. Why 36 aircraft, instead of the 126 the IAF needed? Q2. Why 1,600 Cr instead of 560 Cr per aircraft. Q4. Why AA instead of HAL? Will he show up? Or send a proxy?" He later tweeted another question, terming it as "The Missing Q3!". In the third question, he asked the prime minister to tell why former defence minister Manohar Parrikar keeps a Rafale file in his bedroom and what's in it.